Toyota announced strong first quarter results Friday with sales increasing by more than a million units, revenues up 60% and net income rising to $3.6 billion. The numbers represent a significant turnaround from a year ago when the company suffered production setbacks due to a major earthquake/tsunami in Japan on March 11, 2011. 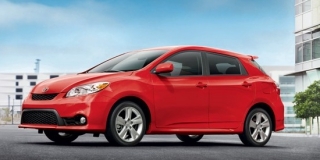 Based on first quarter results, Toyota boosted its global sales forecast from 8.7 million to 8.8 million units this fiscal year (April 1, 2012 – March 31, 2013).